HAECO Americas provides aircraft maintenance, repair and overhaul (MRO) services and aerospace manufactured products to a broad array of commercial, government and private customers. 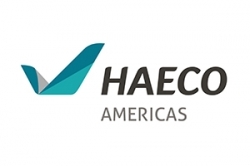 HAECO Americas is a wholly-owned subsidiary of the HAECO Group, one of the largest global providers of MRO services and a leading provider of interiors products and services. Since its founding in 1990 as Triad International Maintenance Company (TIMCO), HAECO Americas has grown beyond its core airframe, base maintenance business by adding engine MRO services, aircraft seat manufacturing and PMA parts, comprehensive engineering design and interiors manufacturing through its HAECO Americas division and line maintenance services at a large number of airports through its HAECO Americas Line Services network. Headquartered in Greensboro, North Carolina, HAECO Americas businesses operate at locations throughout the United States. HAECO Americas provides world class airframe MRO and modification services (also collectively called aircraft base maintenance) from three multi-hangar locations in the United States: Greensboro, North Carolina; Macon, Georgia; and Lake City, Florida. HAECO Americas Airframe Services offers light and heavy scheduled maintenance checks, exterior and interior modifications installations, upgrades and conversions for commercial, government and private aircraft. The airframe MRO operation employs over 1,000 mechanics, many of whom are certificated, and uses over 1.4 million square feet of hangar and office space at its three locations. HAECO Americas has extensive shop facilities to support the repair, fabrication and overhaul of structural and composite components and flight controls removed from customer aircraft on site for airframe maintenance visits. This proximity to the hangar reduces overall aircraft downtime and eliminates shipping and handling costs. In addition, HAECO's shop facilities manufacture parts and can repair components for off-site or non-airframe check customers. Capabilities include the machining and fabrication of a broad range of composites, aluminum, titanium, steel and other exotic metal components and subassemblies for commercial and military aircraft. In addition, all non-destructive testing (NDT) and inspection capabilities can be addressed. HAECO's support shops specialize in one-of-a-kind prototype and production requirements, and can take a project from concept through delivery and installation. HAECO Cabin Solutions offers world class products and services. Whether you are looking to modify a single aircraft or your entire fleet, HAECO Cabin Solutions can help take you from concept to completion. Click the links to the right to learn more about our exciting offerings. 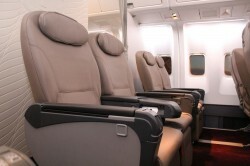 HAECO Cabin Solutions' products are led by the FeatherWeight™ line of seats, galleys and lavatories. These products make use of innovative materials and lower part count to reduce weight. Through their efficient design, these products also offer greater durability and lower lifetime maintenance cost. HAECO is proud to offer Cabin LifeCare™, as an alternative to traditional warranty programs. Through parts and line maintenance support, customers can be assured that their fleet will meet minimum standards of availability and condition. Whether you’re embarking an extensive cabin upgrade project for your entire fleet, looking for engineering support staffing or just planning some minor modifications tied in with routine maintenance, HAECO Cabin Solutions is ready to play a proactive role with a deep pool of qualified experts skilled in maximizing design effectiveness, reducing production and installation time and insuring lasting cost savings. HAECO Americas Engine Services is a fully-certified repair station (FAA T48R384Y; EASA: 145.5246) with focus on complete support for all JT8D series engines. HAECO Americas Engine Services provides full engine disassembly ("teardown"), inspection, repair, parts overhaul and reassembly ("build up") services. The engine team at the Oscoda, Michigan facility provides complete non-destructive testing (NDT), engine AD compliance, fuel nozzle overhaul, bleed valve overhaul, gearbox overhaul and HPC disk overhaul. In addition, AOG teams can be sent on field calls to perform engine on-wing support, recovery and boroscope and boroblending services. HAECO Americas Engine Services maintains a complete engine test cell complex on site, rated to 52,000 pounds of thrust, available to schedule testing for all JT8D engine models. HAECO Engine Services maintains a certified, state-of-the-art jet engine test cell with a rating of 52,000 pounds of thrust. The test cell, located in a dedicated structure adjacent to the main production building, allows HAECO to provide its customers with timely and cost effective performance feedback. HAECO Americas uses the test cell not only in the course of a typical engine overhaul, but also for troubleshooting on behalf of customers in cases of engine removal. HAECO Americas Line Services performs traditional line maintenance services including transit checks, meet & greet and overnight (RON) services, as well as cabin refurbishment services. HAECO Americas Line Services is also available 24/7/365 to provide service support for its customers, including aircraft on the ground (AOG) situations. This additional element of support provides further assurance to operators seeking to maximize aircraft reliability and availability for revenue service.